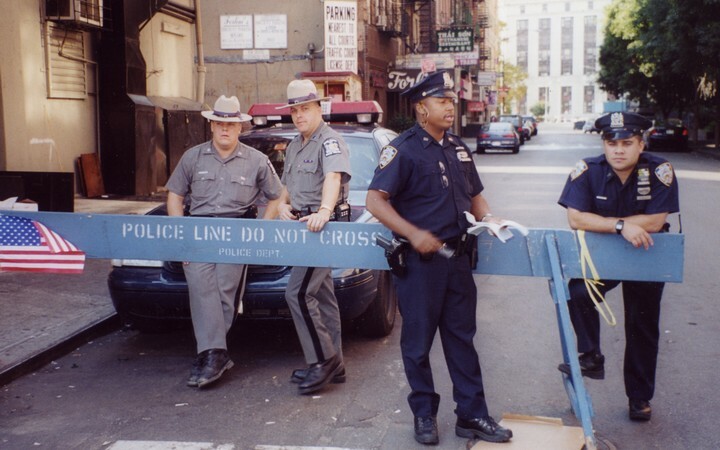 Police barricades on Baxter Street mark off the "frozen zone" after 9-11. Photograph by Elizabeth Tom, 2001. 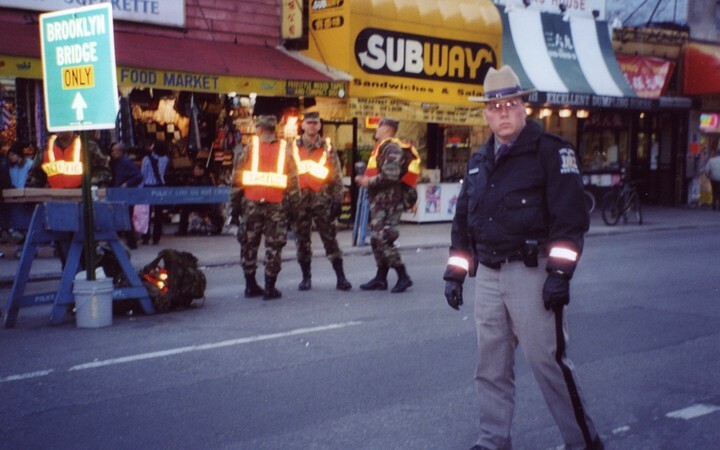 Police barricades on Centre Street mark off the "frozen zone" after 9-11.